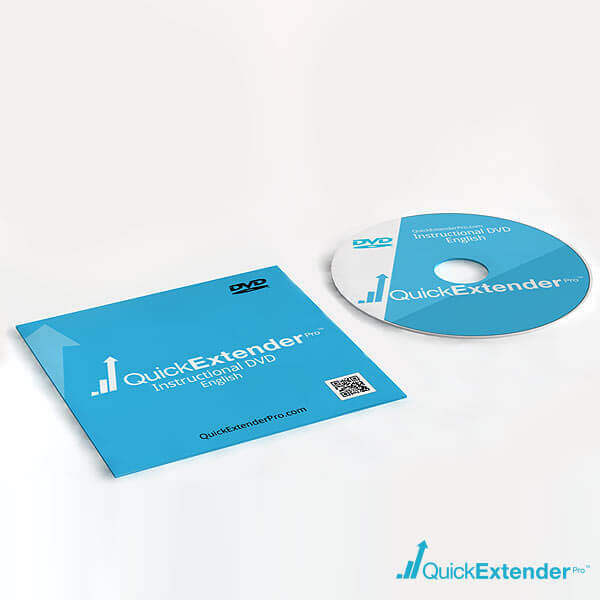 Why Choose Quick Extender Pro Deluxe Standard Edition? 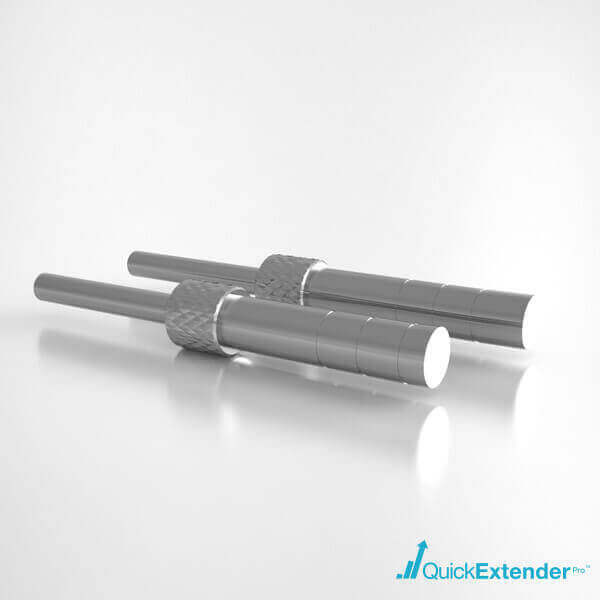 The Quick Extender Pro Deluxe Standard Edition is the perfect balance between value and high performance. 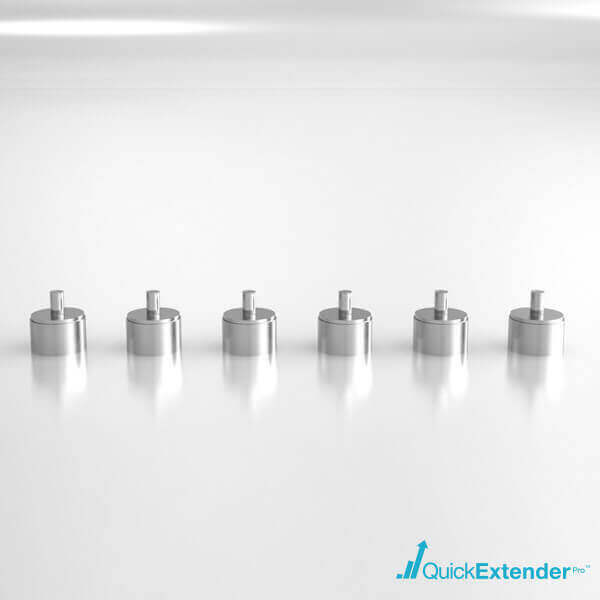 Voted the number 1 extender by thousands of satisfied customers, only the Quick Extender Pro has the exclusive DSS glan support for total comfort, safety and results. 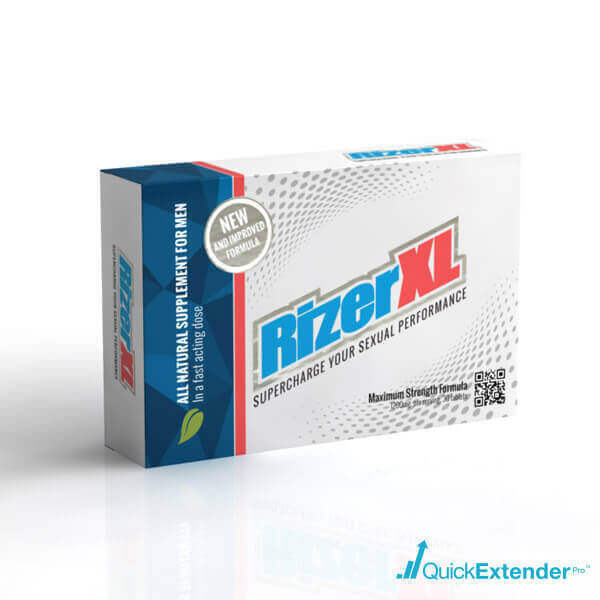 Accompanied by a 1 month supply of Rizer XL, 6 Comfort pads, 6 silicone tubes, a 6 month money back guarantee and more, the Deluxe Standard Edition is a complete package that will give you everything you need to gain phenomenal length and girth. 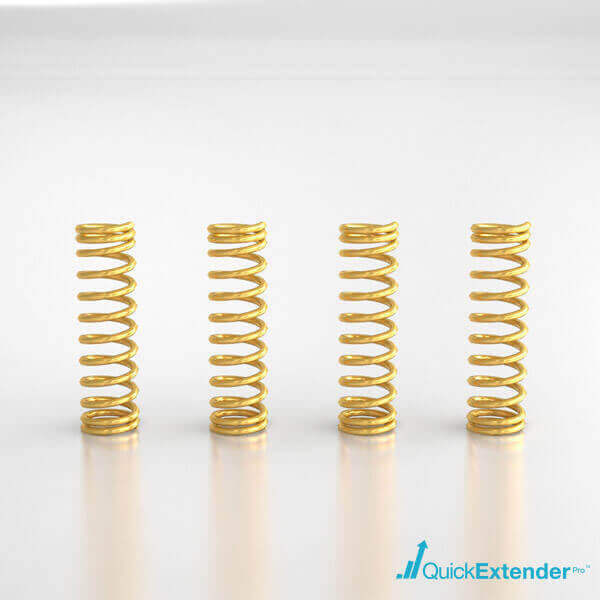 NEW Smart Tension self adjusting 3500g force spring tension. 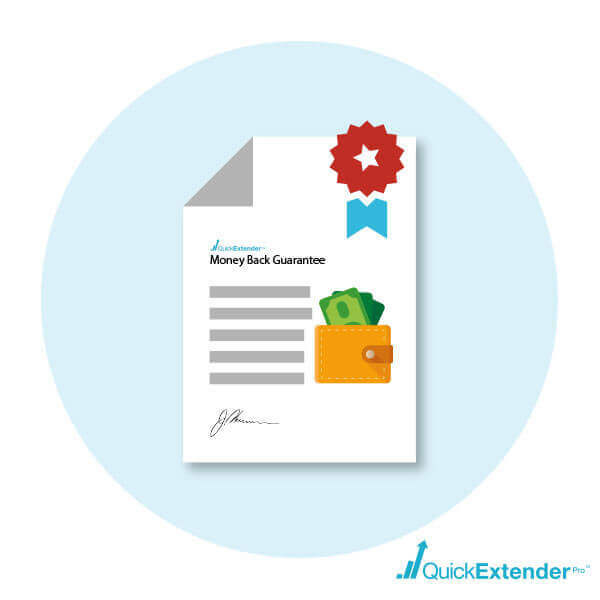 Quick Extender Pro Risk Free 1 Year Money Back Guarantee. 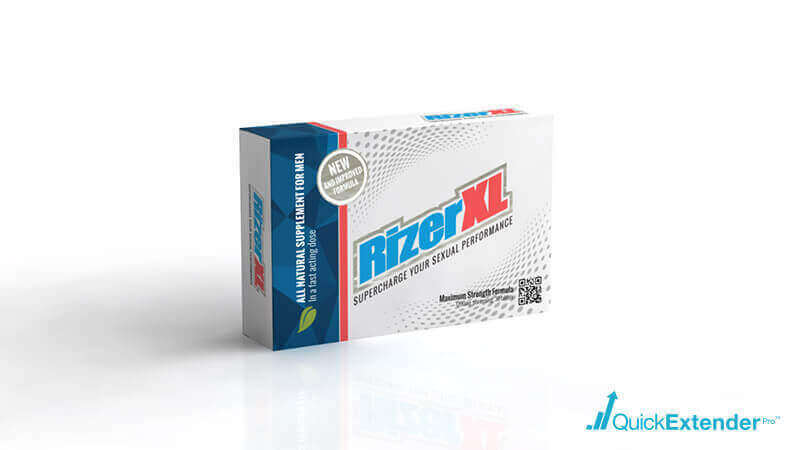 1 Box Rizer XL Premium Male Enhancement Supplements $59.93 Value FREE. 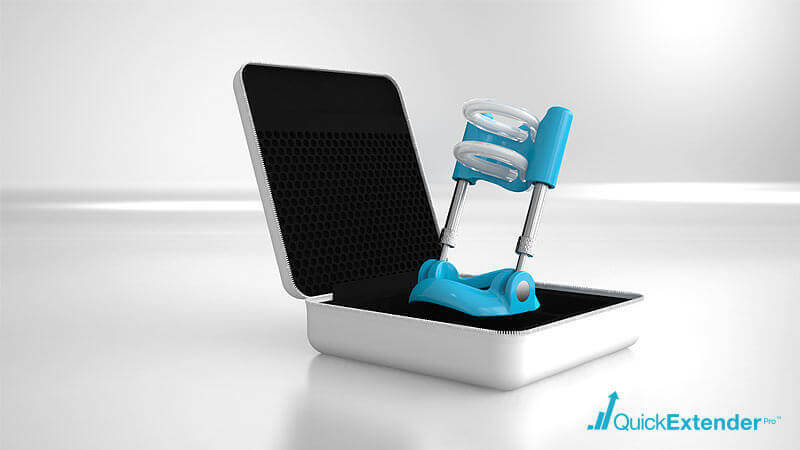 A premium storage case for the device and all included accessories. 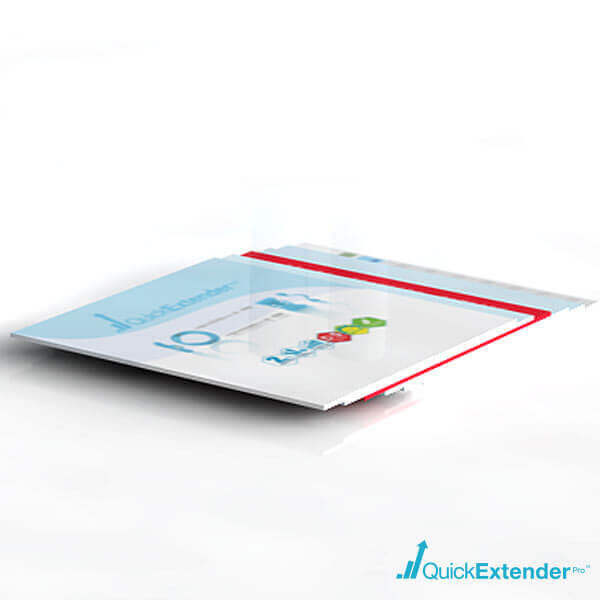 Quick Extender Pro Total Protection Coverage 1 Year Warranty. 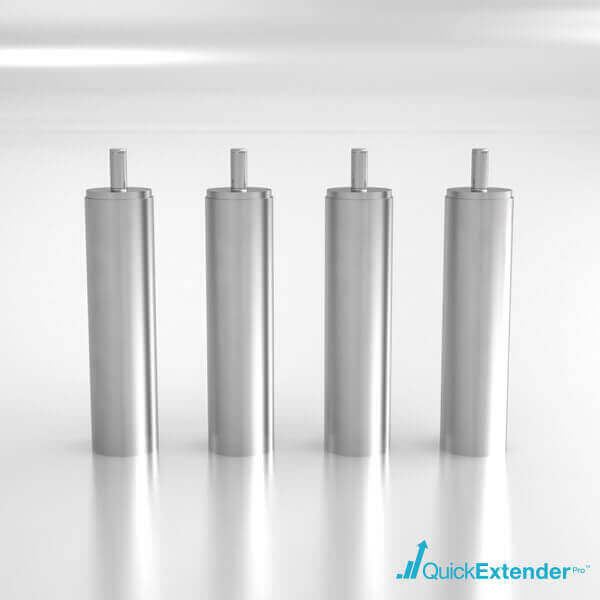 4 precision engineered high quality medium bars. 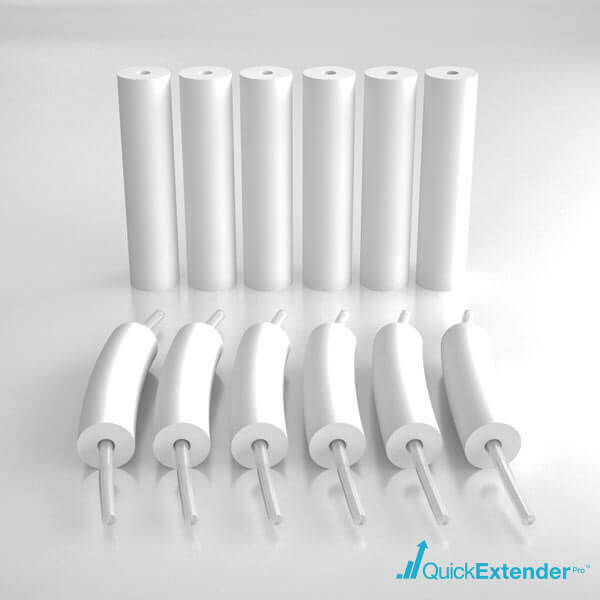 6 Extra Soft and featherweight silicone tubes. I bought the Deluxe Standard Edition because the guarantee and warranty was superior to the Value Edition. I really liked how your company was standing behind the product and the results. 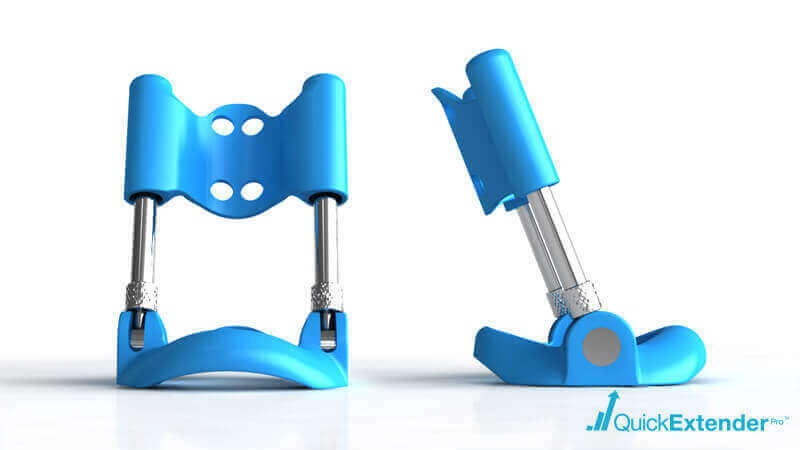 I’ve been using the device for 2 months worry free as the device is solid and well built. I know if threes a problem I’m protected all the way. Thanks for making this an easy process. I emailed customer support and received an invitation for a call back which I gladly accepted. I wanted to drop a line to you guys and let you know your agent, Daniel, helped me figure out what I was doing wrong. It’s been just 3 short months and I’ve gained a full inch in my erection. I’m very satisfied with speaking and dealing with your customer service. I know you guys get these questions everyday but thank you for taking the time and having the patience to deal with my requests. Great service! I bought your Standard Edition because my friend recommended it to me. I checked the differences between all your devices and noticed because I have 6 inch erection and the Value package only extends to 7 inches, I needed to get the standard edition to go beyond my size. Here are my results after 9 weeks of usage; I got to 6.75 inches in just 2 months! Me and my wife never thought this was possible but here I am, almost 1 inch larger in no time. Thank you very much. The Deluxe Standard Edition was exactly what I needed to gain more size. I bought the system over 2 months ago and I wanted to experience the 1 inch in a month claim. I started out at exactly 5.12 inches. After going through the tutorial and setting it up to my specific size, I began the program in the first initial stage of just 1 hour a day for the first 2 weeks. After that I slowly increased my time from 1 hour a day to 3 hours a day over the next 4 weeks. After a combined 6 weeks I now measure 5.95 inches. So in this short time I gained just under 1 inch in my erection length. Although I didn’t get the full inch in 4 weeks I think that if I wore the device longer than 3 hours a day I probably would have come very close to gaining that one inch in the first 4-5 weeks. Overall, I’m extremely pleased with the gains I received, the overall ease of wearing the device and the comfort to wear it for a few hours a day. I travel a lot and needed something that was compact, easy to carry and included a good carrying case. The Deluxe Standard Edition included everything I needed to carry this device with me on the road for my job. I like the fact I am able to fit all the contents and the device easily in my overnight bag and it doesn’t add to the overall size of my stuff because I need to pack really light and move from location to location when I’m on assignment. 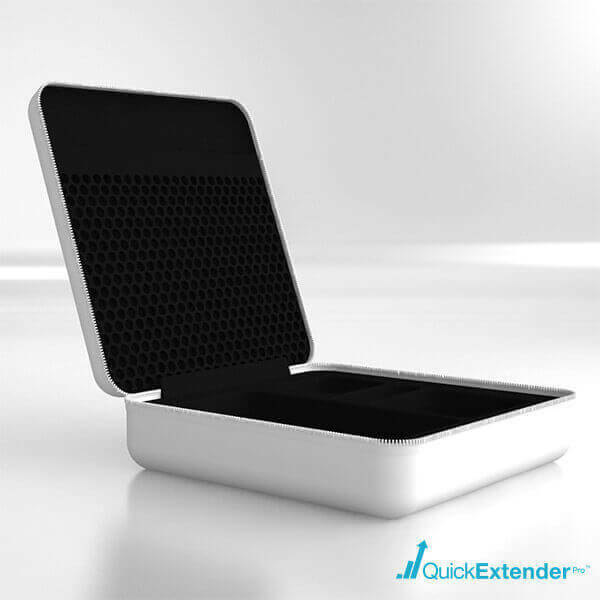 This is a very nicely built device and the package contains all the right things I need. I highly recommend if you are the type of person who travels frequently. 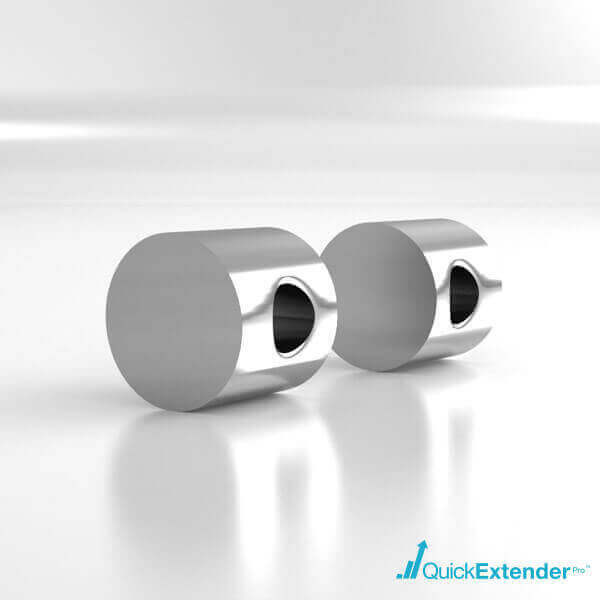 The Quick Extender Pro Standard Edition lives up to the reviews I read online. The design is great and I can wear it for several hours a day without any discomfort. There are more than enough metal bars and the tension feels nice and tight. Instructions are spot on and do a great job of explaining the entire process. I highly recommend you get this package over the Value Edition as you will probably have to buy stuff later down the road with it as you gain in size. 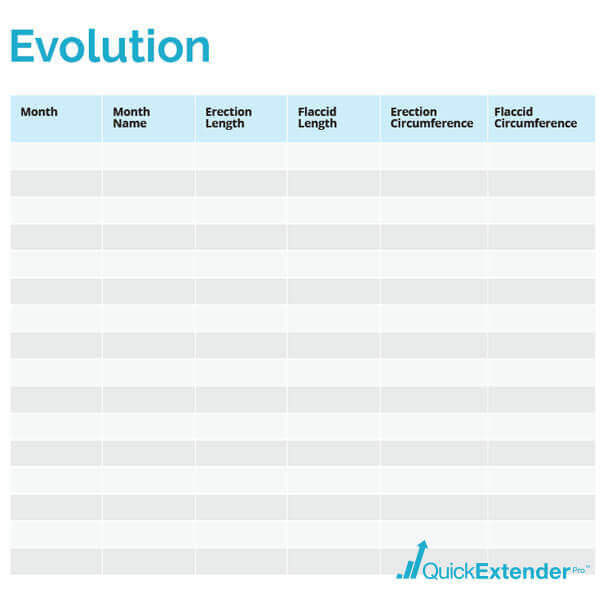 I wore the extender for 8 months straight with a 1 day break during the week and gained an amazing 2 inches in my erection. Since then, it’s been 3 months I stopped wearing it and I did not lose any size whatsoever. This whole process was fast and really easy. I’m proud to say I have officially joined the 8 inch club. Thank you for this awesome product. I never order online with my credit card. I only place orders over the telephone to a live person. Calling your hotline and placing an order was easy as pie. Your agent on the other end was polite and very good at answering my questions. I placed an order and was emailed all the updates in a timely fashion. Dealing with your company is nothing less than what I expect when shopping from the big stores like Wal-Mart or Sears. Your company knows how to do business and conduct themselves in a professional manner. I highly recommend. Thank you. I live deep in Australia, very rural area and your package arrived at my doorstep in just 1 week. Box was rock solid and the contents inside were in perfect condition. I received my complete order and I’m ready to go from day one. Best part of this whole process, I didn’t have to pay extra for shipping and there were no taxes or duties. Great deal! Amazing product! Had to learn how to adjust straps for maximum comfort, after that a breeze. Gained 1.6 inchs in 5 months. Highly recommended. I ordered the standard deluxe edition which and just like the video says the gains are FAST. I did not think it was possible to get the gains they guaranteed but I used the product every day and it was not uncomfortable and I did get the results I wanted and already its only the third month! I would say to those like me who doubted the claims that the gains are easy and comfortable and you have to follow the instructions and you will see for yourself it works. A nice company with good support. They really care about the customer I had questions before purchasing about usage and found their customer care people to be very friendly and helpful concerning my questions. I tracked my shipping and have started following the program instructed by the dvd. 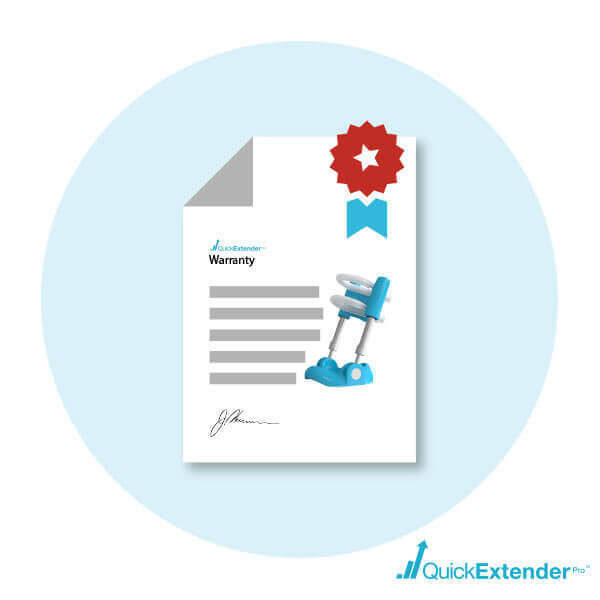 A great experience so far – they have answers for everything through their service! 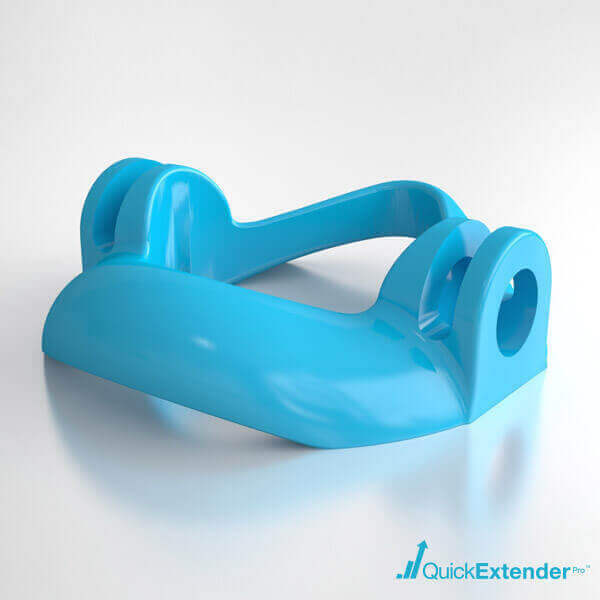 Wayyyyy better than the other extender I tried. I was using one from a certain company, complicated to wear with so many options, I won’t name here which was also very uncomfortable and pinching my skin. 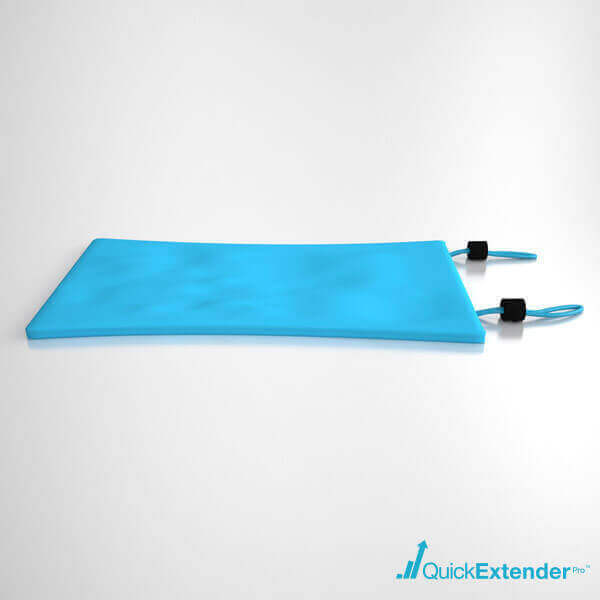 Quick extender is like a fur glove compared to the other one. 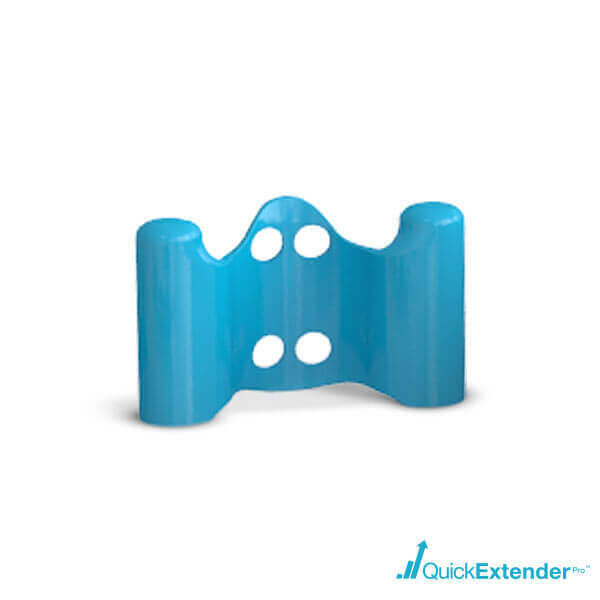 Very comfortable, I can wear it for many hours (which they tell me over the support line is better for even quicker results), just take it off every couple hours for a quick break. Very happy with this purchase and value. 5 of 5. 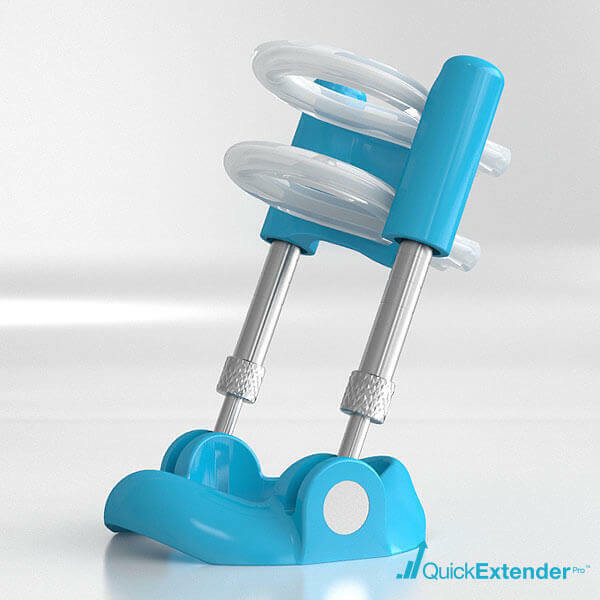 Excellent price, got a great deal on this product. The company is fair and you can’t beat the guarantee. I’m very satisfied with my first few months and it looks like they have spare parts so there’s no end to the possibility of size increases. I bought the standard Deluxe edition because it contained plenty of components but the price was good. The other products available are either way more expensive or they are flimsy materials. I feel good about my choice and more confident every day. My package was opened when I received it. This is bad service. I don’t recommend this. 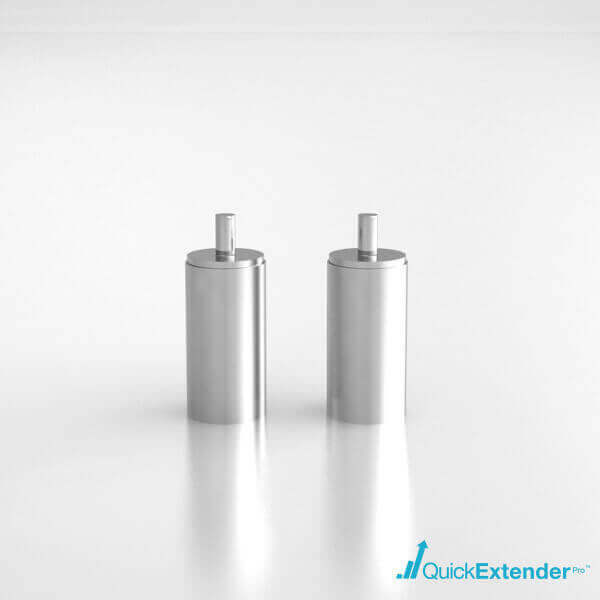 All package shipped out are brand new and pass through a strict human quality controlled verification process before it reaches the end user. We do not recycle used items as they are destroyed immediately per the USA health guidelines. After reviewing your tracking number it appears the package may have gone through a routine inspection by the courier for contraband. Although extremely rare, it may happen on occasion. Your package is brand new and if you feel unsure we would be more than happy to replace your package at no additional charge. For more information regarding the couriers delivery practices, please call 1-800-275-8777 and provide your tracking number. I would like to follow up on my first review. I contacted USPS and they confirmed the package was opened; my box has usps tape all around it. The contents of the device and other parts were still sealed. I do not require a new package and I am excited to start my program. Look forward to my follow-up in a few months. My device did not have the measuring tape or blue pouch. 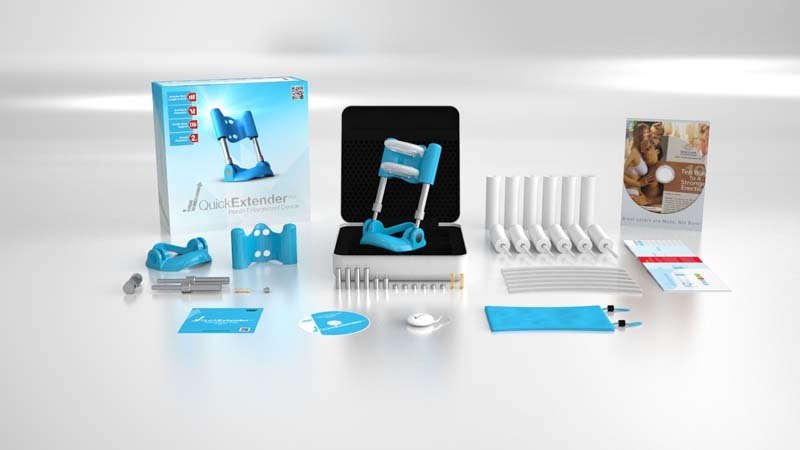 Boo Quick Extender Pro. We sincerely apologize for the missing items in your package. They have been reshipped at no additional charge and will arrive shortly. Please let me know if you have any further questions. Items received, thanks Paul. Case closed.